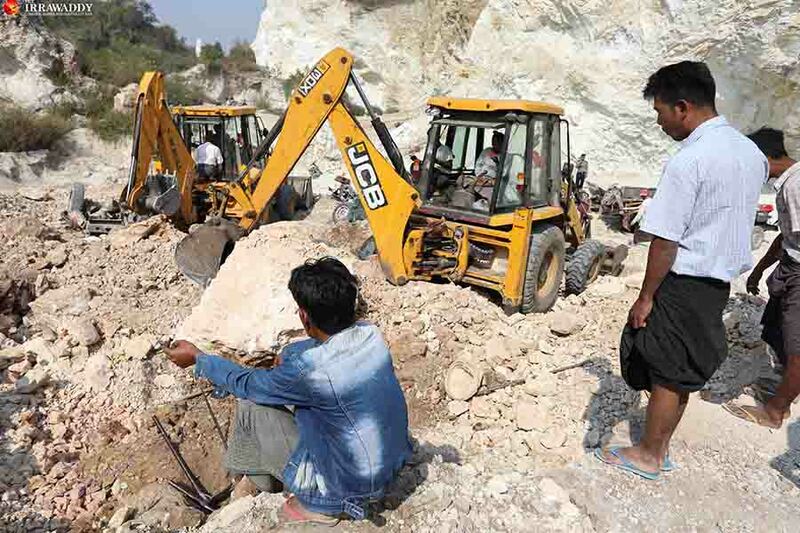 MANDALAY — Three people were killed and one person was injured Monday in Sagaing Region’s Sagaing Township when an illegal gravel quarry collapsed on them. 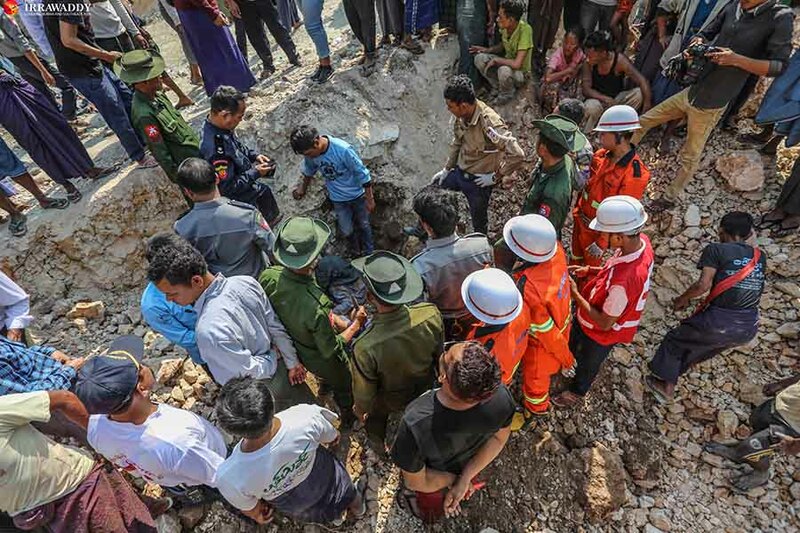 U Kyaw Kyaw Naing, assistant director of the Sagaing Region Fire Services Department, said two men and a woman working in the quarry were killed instantly at about 9 a.m. when some rocks fell on them from a height of 12 feet. He said another man was also seriously injured and sent to hospital. Police, firefighters and civil society groups joined the rescue effort. The quarry is located near the village of Taung Nyo Ywa Thit in a restricted area managed by the Forest Department. U Kyaw Kyaw Naing said people work the site with small machines to supply gravel for road projects. “It is not officially permitted to quarry there, but locals quarry for their livelihood,” he said. U Zaw Min, a local resident, said most of the workers come from other parts of the country. “Most of the locals work on farm,” he said.